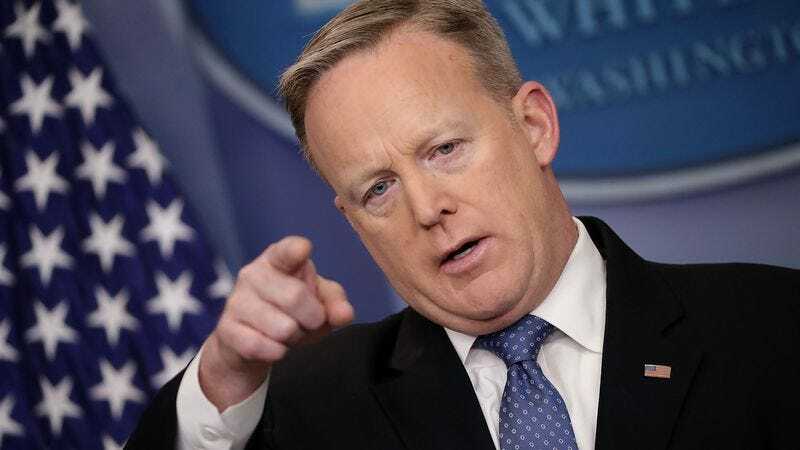 According to a report from CNN, White House staffers who were apparently not deeply offended by Melissa McCarthy’s Saturday Night Live impression of Sean Spicer gave the press secretary Super Soakers this week. A source leaked this detail in what seems like a pretty obvious attempt to show that at least some people in Trump’s administration have a sense of humor. …Spicer had proposed cracking a joke about the send-up during his next briefing, or even firing a squirt gun, as McCarthy had done in the sketch. Trump vetoed the idea, according to one person briefed on the matter. So what’s a man to do with “several” Super Soakers if he’s not allowed to use them?